The Wool-Pack by Cynthia Harnett: As I mentioned before, this 1951 Carnegie Medal winner is set in Burford in the Cotswolds, and I had a lot of fun reading it before my weekend trip there. The story takes place in 1493, and it’s about the son of a family of wool merchants who uncovers a plot to ruin his father’s business and reputation. Having said that, I still really enjoyed The Wool-Pack for the sense of place and for the rich historical detail. It reminded me a bit of a Portuguese series of time travel books I used to read as a child: they were noticeably educational and occasionally verging on the info-dumpy, but they had enough heart and enough of a sense of fun that my young self loved them all the more for it. They made me feel all grown-up and erudite: Look, ma, I’m learning history! And I’m loving it! There’s a similar feel to The Wool-Pack: you can tell there are details that only make it into the story because Harnett is wearing her educator’s hat, but somehow it all still works. Fortunately, the Milk by Neil Gaiman: I suspect that I partially ruined this book for myself by reading it back in June, right after The Ocean at the End of the Lane. In hindsight, I can see how this was a terrible idea: I unconsciously wanted more of the same emotional experience I had with Ocean, but Fortunately, the Milk, which is an entirely different sort of book, was never going to provide that. Let’s start with what I liked: there’s the humour, of course, which is generally delightful (but sometimes fell a bit short). Listening to Neil Gaiman read part of it aloud really made it come to life for me, and the bits when he’s at his best are incredibly good. I hope there’s an audiobook version and that he narrates it, because it’s sure to be brilliant. My favourite thing, however, was how Fortunately, the Milk captured the relational nature of storytelling, much in the same way Neil Gaiman’s poem “Locks” does. The story is about a father telling his children about the outrageous adventure he allegedly got caught up in when he went out to buy milk for their breakfast, and the pauses in the narrative that reveal their delight in one another and in the act of sharing stories were some of my favourite bits. 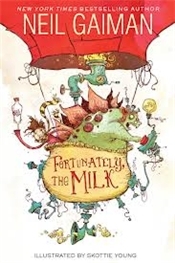 And now for the main thing that didn’t work for me: Fortunately, the Milk is a romp based on several tropes from classic adventure stories, and as such it includes pirates, spaceships, talking dinosaurs, and angry volcano gods. But even if I take this into account, I find the representations of jungle-dwelling native characters who are prone to human sacrifice too close to racist stereotypes for comfort. I should add that I read the American edition, which is (otherwise brilliantly) illustrated by Skottie Young, and the picture of huge-lipped and fierce-looking tribesmen certainly didn’t help. I’d be curious to hear what readers of the UK edition (with art by Chris Riddell) make of this section. Is the art different, and if so does it impact how the section comes across? 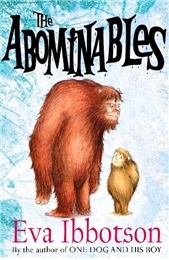 The Abominables by Eva Ibbotson: Oh, Eva Ibbotson. I love you even when I shouldn’t. 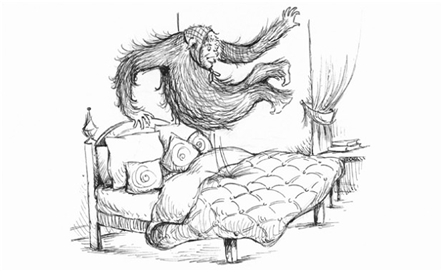 Here is, in a nutshell, the plot of her last (sniff) children’s novel: in the early twentieth century, in the Himalayan peaks of Nanvi Dar, Lady Agatha Farley is kidnapped from her father’s tent in the middle of the night by a huge hairy beast. However, the beast — a Yeti — turns out to be sentient, intelligent, and incredibly gentle. He has a problem in his hands that he hopes Lady Agatha might be able to help with: a family of motherless young Yetis in need of an education. Lady Agatha agrees to become their governess, and time in their hidden valley passes much too fast. A hundred years later, an elderly Lady Agatha worries that the increasing number of tourists in the Himalayas means that the Yetis’ valley won’t stay hidden for much longer. So she comes up with a plan: to transport the Yetis halfway across the world to the safety of her family’s secluded home, Farley Towers. There’s no way around the fact that the whole premise of The Abominables is based on sexist and colonialist tropes: we have a young woman taken from her family against her will who immediately takes to the idea of raising the young Yetis, presumably because she’s inherently nurturing and her mothering instinct kicks in. Also, note that I described the Yetis as “motherless”, not “orphans”: unfortunately the narrative never questions the assumption that it would be unthinkable for a single father to bring up his children without kidnapping the first available woman and delegating the task to her. Males getting directly involved in child-rearing? Unthinkable! Not only that, but there are clear colonialist undertones to Lady Agatha’s relationship with the Yetis: she’s repeatedly described as having “civilised” them by giving them a “proper” English education. These undertones remain even after Lady Agatha leaves the picture: all through the Yetis’ long journey to England, the two (western) children who accompany them have to contend with local nastiness, corruption and brutality. The counterpoint to this — spoilers — is that the Yetis and the children find more of the same when they get back to England, so at least it’s not like after their adventures in Backwards Foreignlands they go home to nothing but kindness and enlightenment. Still, the pattern their journey follows is uncomfortable, especially the description of the spoiled Middle Eastern Sultan’s zoo. And yet. In the hands of anyone else, this would be more than enough to spoil the book for me beyond redemption, but by the end of The Abominables my love for Eva Ibbotson remained intact, and I even found myself quite charmed by it. It’s clear to me that this is not only due to my history with her, but also to my privilege as a reader from Western Europe, and I fully understand why some of the things that made me wince but that I still managed to bypass would be complete deal breakers for other readers. You’ll hear no arguments from me regarding that. So what did I find to love in a book that so often managed to be so spectacularly clueless, you ask? Well, the same thing that draws me to Eva Ibbotson in general: her belief in kindness, particularly towards animals in this case; her obvious affection for her characters; her warmth and gentleness and humour. The Abominables is probably my least favourite Ibbotson to date, and it’s not one I’d recommend to newcomers to her work, but I’m still glad to have read it for all the “d’aww” moments it provided. Mrs Frisby and the Rats of NIHM by Robert C. O’Brien: This story, about a shy field mouse by the name of Mrs Frisby who becomes acquainted with a group of super-intelligent rats with a surprising story to tell, charmed me as much as everyone had promised. I loved the tone of O’Brien’s narrative and was immediately sucked in. I keep thinking about all the interesting gender complexities and contradictions in how Mrs Frisby is presented. On the one hand, children’s stories focused on female characters are still in the minority, and this is true even if said characters are anthropomorphic animals. Mrs Frisby is not only a female mouse, but she’s also a widow and a mother — the mouse equivalent of a middle-aged homemaker, and you don’t often find stories where these characters are allowed to be heroines. Mrs Frisby does brave things, and even if her motivations are closely aligned with stereotypical portrayals of womanhood (keeping her home safe and protecting her ailing youngest child), I greatly enjoyed her courage and resilience. This is an idea I often return to: telling the full spectrum of stories about women means including heroines that do represent traditional feminine roles, without having to fear that this implies these are the only roles available to women. Yet on the other hand, there’s a lot about Mrs Frisby that’s traditional in less than positive ways. She constantly defaults to her deceased husband’s superior knowledge and wisdom, and although the story provides an in-world explanation for this, the resulting power deferential is never really explored. Mrs Frisby thinks nothing of having been kept in the dark about things that affect her life directly — she accepts that her duty as a wife was to offer support without asking any questions, and this is a great shame. Also, I’d absolutely love to read an essay exploring the political implication of the rats’ we-must-start-a-civilization-from-scratch-without-depending-on-anyone philosophy. I felt that there was quite a bit to unpack there but didn’t feel up to the ask myself. 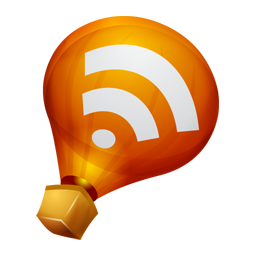 If you drop me a link I will love you forever. A Dog So Small by Philippa Pearce: I saved the best for last. 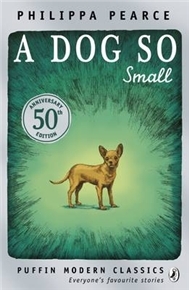 Pearce brilliantly and succinctly tells the story of a boy who desperately wants a dog, who images the perfect dog, and who then has to confront the inevitable discrepancies between fantasy and reality — all while having a small, terrified, helpless creature depending on him. The last chapter in particular absolutely broke me. A Dog So Small is a short book, yet it’s infinitely rich because it acknowledges the complexities of children’s emotional lives, and handles them with the seriousness and care that they deserve. My love for this book took me by surprise, and once I’d finished it I remembered that this happened with Tom’s Midnight Garden too: it was only towards the end that it hit me how much I loved it; how subtle and accomplished and emotionally precise the whole thing was. I guess it had been long enough since I’d last read Pearce that I’d forgotten that she does this, and also just how very good she is in general. I have Minnow on the Say and The Battle of Bubble and Squeak here and have promised myself not to let the same happen again. That’s it for today. I’ll be back soon with part two: thoughts on The Borrowers, A Boy and a Bear in a Boat, From the Mixed-Up Files of Mrs Basil E. Frankweiler and Tuck Everlasting. What a wonderful list. Mrs. Frisby and the Rats of Nimh is one I have always meant to read, but I still have not managed to do so. I may have to make that one of my read-aloud books with kids soon. I've always loved the Secret of Nimh movie, but I imagine the book is quite different. I do like mrs frisby and the rats of Nimh! Sequel is not so good, though. And now you've aded another to my list, the dog so small. I might look for the yeti story, too. That article about gender roles in children's books surprised me. I didn't realize they were so biased. A Dog So Small sounds lovely and I'd never ever heard of it before. Where di you find out about it? Hahahah, oh God, I feel just the same about Eva Ibbotson's books. There are so many problems with so many of her books, but I can't generate the outrage I know I should properly feel. Instead I just feel fond of her. yay for good reading. I'll have to check out Phillipa Pearce! Mrs. Frisby was one of my favorite books when I was little. Obviously I didn't think about the gender complexities when I was 7, but it's interesting to consider now. Great list and I have really enjoyed this read. Especially love the Mrs Frisby and the Rats of NIHM is one of my favorite read because it is ideal from others. Thanks for sharing this interesting read. I really enjoyed Mrs. Frisby and the Rats of NIMH when I was a child. I even went on to read the later books, which I think were written by the author's grandson, IIRC. I'm sure they weren't as good, but I still liked them at the time and even wrote a little fan-fiction story set in that universe. I've never heard of The Wool-Pack, but the cover art immediately made me think of the cover art for Shannon Hale's The Goose Girl. And sure enough, the same artist did both covers: Alison Jay. I recently read Fortunately, the Milk (American edition) and had the same reaction to the jungle element. I was surprised and disappointed...then *very* surprised to find so little discussion of it online! Thanks for mentioning it here.